This super console was manufactured in the mid 80's and was originally designed for Theatre use. One of the good things that have come out of digital recording is the ability of being able to use high quality live consoles with DAW systems like Pro Tools. As far as live consoles none come better than Cadac. 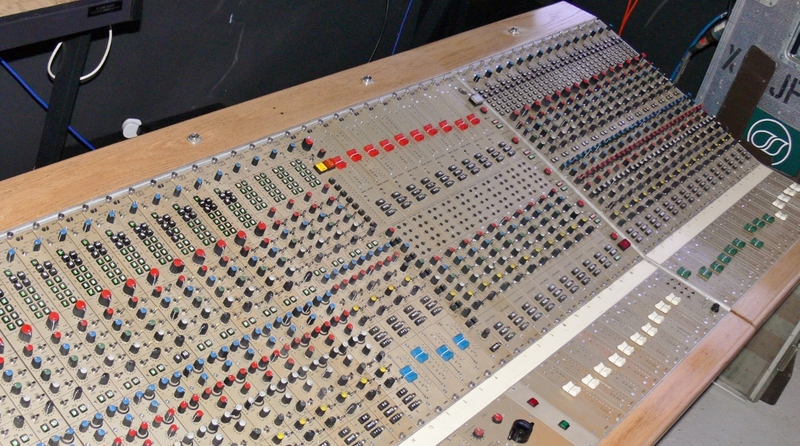 Many owners of 70’s & 80’s Cadac consoles would place them above Neve consoles of the same era, they are extremely well made and provide high quality audio. Click here to meet a few Cadac fans. Can be split into a 19 x 8 studio console with Patchbay plus a 12 into 2 Summing Mixer. Contact us for details.